The right side displays a map of the south-ring; the left side shows different panels the user can modify in order to get different informations. We are currently developing a web page on which people can make travel-time predictions along the south-ring. This online interface can be found in this link. Raw data used to perform the experiment described in  can be found in this link.
. Ladino, A, Kibangou A Y, Fourati H & Canudas de Wit, C. A real time forecasting tool for dynamic travel time from clustered fusion of clustered time series. Submitted to Transportation Research Part C: Emerging Technologies.
. Ladino, A., Kibangou, A. Y., Fourati, H., & Canudas de Wit, C. (2016). Travel time forecasting from clustered time series via optimal fusion strategy. In European Control Conference, (pp. 4731–4736). Aalborg Denmark.
. Canudas de Wit, C., Morbidi, F., Ojeda, L. L., Kibangou, A. Y., Bellicot, I., & Bellemain, P. (2015). 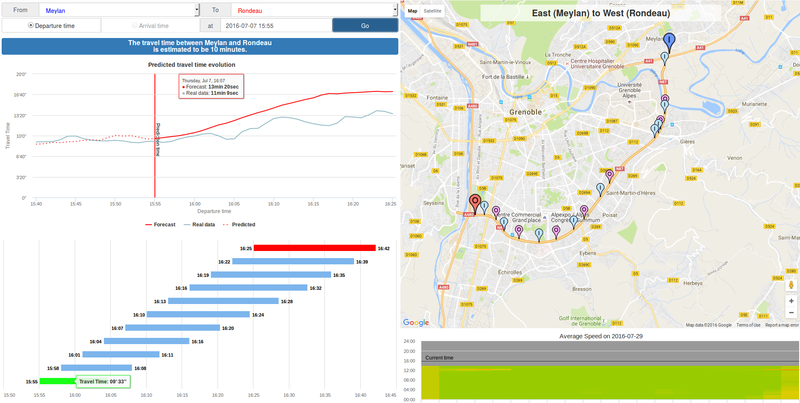 Grenoble Traffic Lab: An Experimental Platform for Advanced Traffic Monitoring and Forecasting. 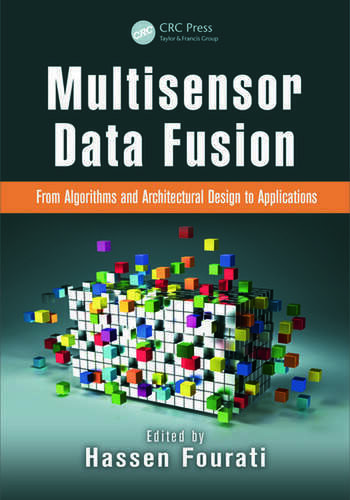 in IEEE Control System Magazine - [Applications of Control]. (pp. 23-39) Volume 35- Issue 3. The whole south-ring is represented: the blue pins show the on-ramps, the purple ones the off-ramps. When you select (click on) a pin, its name is displayed in the panel From / To on the left side. A path is given by a couple (on-ramp, off-ramp), e.g., select (click on) a blue pin as an origin and a red pin as a destination to trace a particular path. You can change at any moment. There are 2 main panels in the left side. The first panel in the upper part displays the origin/destination names and the time information about the prediction. The second panel contains time series information of Dynamic Travel Time (DTT) computed from real data received in real time and the prediction algorithm described in . Real-time data and data predictions are displayed by default for past days or once real data is available. Data is collected every 15 seconds by sensors located in the south-ring, however predictions are available each minute. Once the system performs the prediction in adition a recomendation system selects the best and worst options for the predicted travel time. The optimal departure time is displayed with a green color bar and the optimal departure time is shown in the left part of the bar. The longest time trip is displayed in red.